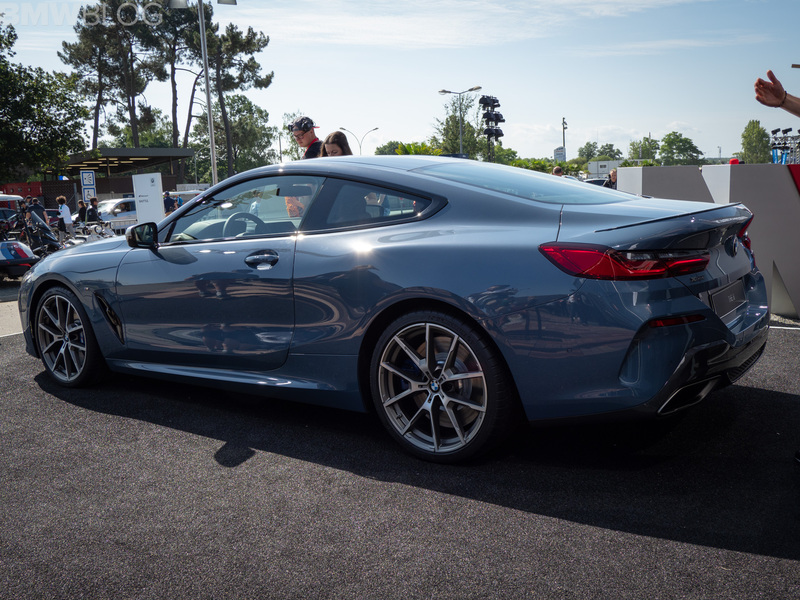 We continue our live coverage of the new BMW 8 Series with new photos from Le Mans. This time, we have the BMW M850i in the launch color Barcelona Blue. 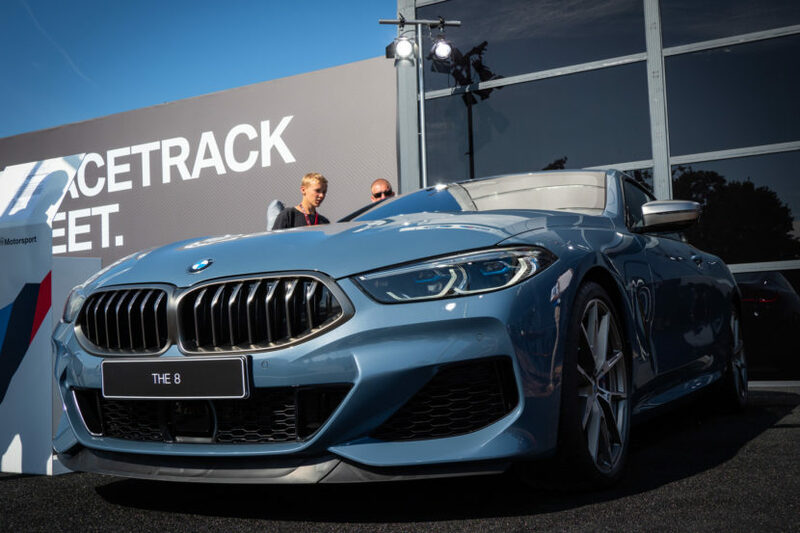 The worldwide market launch of the sleek new coupe is scheduled for November 2018 and the US market will get the M850i xDrive. An 840d model is offered in other markets. 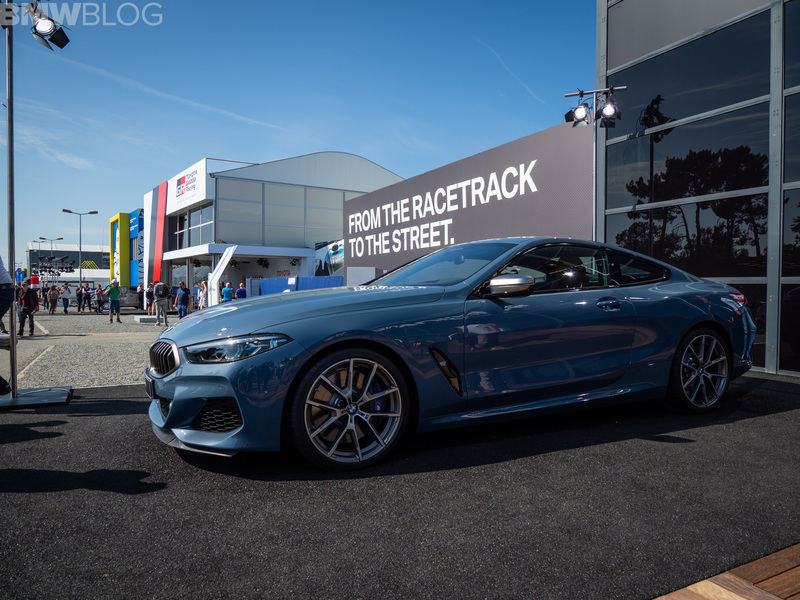 Fitted standard with xDrive AWD and an eight-speed automatic, the 8 Series will go to 62 mph in either 3.7 seconds in M850i trim with the 530-hp V8 and launch control; or 4.9 seconds with the 320-hp 501-lb-ft-of-torque 3.0-liter diesel in the 840d. The new 8 Series is a sports car and a grand tourer in one. It should slot into the sizeable gap between the Porsche 911 and Mercedes-AMG S63 Coupe. The 8 Series Coupe is wider, lower and shorter than the Mercedes-Benz S-Class Coupe, aiming for the sportier side of the GT segment. BMW says the driving experience will be on the same level with its looks, thanks to intelligent control systems and cutting-edge chassis technologies. It has adaptive dampers, rear-wheel steering, an electronically controlled limited-slip differential in the rear axle and a four-wheel drive system. A sports exhaust system is also standard with a valve adjusting the amount of sound that reaches your ears. The M850i gets four-piston front brakes with single-piston rears and runs standard on Michelin Pilot Sport tires. 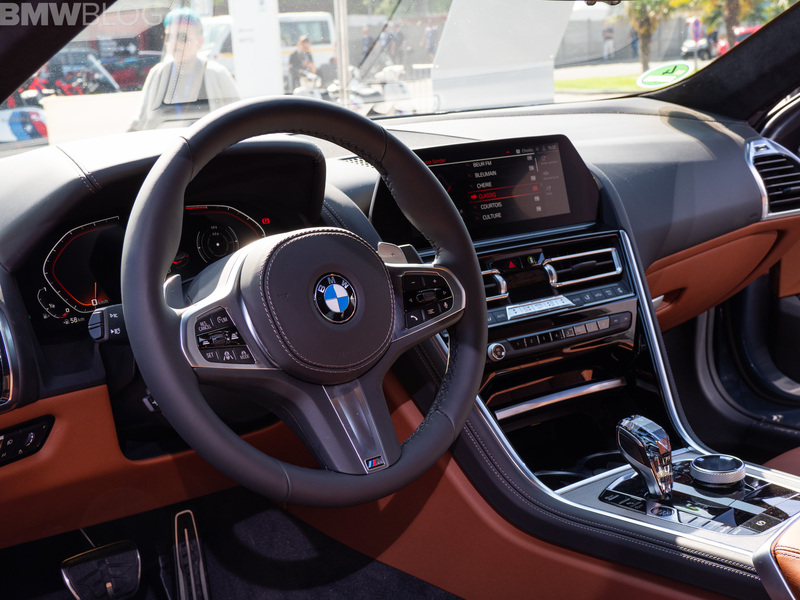 Inside, the BMW 8 Series features a newly designed instrument panel and cluster featuring the iDrive infotainment controller, “Driving Experience Control” switch for drive modes and a head-up display. The M850i has a 12.3-inch screen in the center with a 10.25-inch control display behind the steering wheel. The US pricing for the new 8 Series will be announced later one, but we expect a price tag around $100,000 for top model.